The Spring 2017 issue of GRADnews has been sent off for printing. It will be distributed to all PGRs and staff across the SEPnet members over the next two weeks. Watch out for it in your mailslots or in your PGR student common rooms/areas. If there’s one in your mailslot, then it’s for you! This issue concentrates on the important area of Impact. More and more Research is evaluated on the broader Impact it has on society, the economy, and people. Six Impact studies have been funded by SEPnet and they are reported on in this issue. 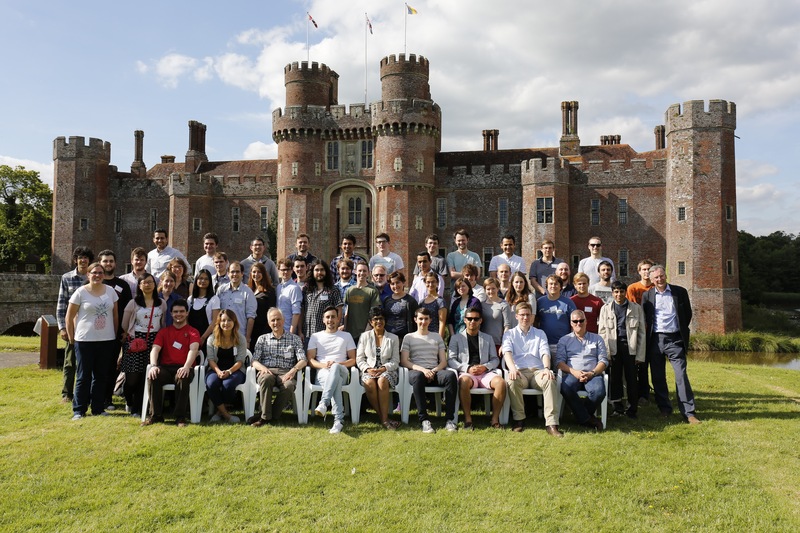 In addition we report on DISCnet, a new initiative in Data Intensive Science, the recent Winter School held at Cumberland Lodge in Windsor, and a reminder on the Enterprising Ideas Competition. The Nuclear Industry held its ninth annual UK Nuclear Skills Awards on the 16th March. During the evening the nuclear stars of the present and future were announced including a former SEPnet postgraduate researcher, Dr Michael Hodgson. The new award for Postgraduate Student of the Year, sponsored by NSSG, was awarded to Michael Hodgson from Centronic. Michael completed a PhD in Detector Physics at the University of Surrey and currently works as a Design & Development Engineer. The awards, organised by The National Skills Academy for Nuclear (NSAN) and Cogent Skills, was hosted by the lead singer of Iron Maiden, pilot and entrepreneur Bruce Dickinson. The event brought the nuclear industry together to celebrate the success and high achievement of learners nominated for awards in Apprentice, Foundation Degree/HND and Graduate disciplines. The Main Sponsor on the evening was NuGen. 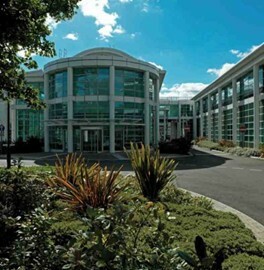 NuGen is a UK nuclear joint venture between Toshiba and ENGIE. NuGen’s Moorside project aims to develop a new generation nuclear power station on land in West Cumbria enough to power 6 million homes and equivalent to 7 per cent of the UK’s electricity requirements. Are you looking forward to Stargazing Live on BBC Two? Fancy trying it out for yourself? Come join us at events across the SEPnet region! 18:30 – 19:30, RHUL, Egham. 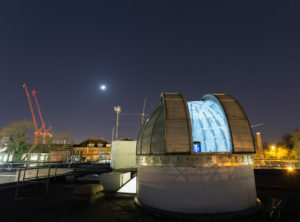 On the occasion of BBC Stargazing Live and British Science Week, Professor Stewart Boogert, Royal Holloway Physicist, talks about his journey from being an amateur astronomer towards making complex measurements with the Royal Holloway teaching telescope. The talk will cover the faintest, furthest, biggest, coldest things which can be observed, or even measured with a small telescope. 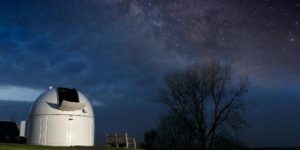 Weather permitting, after the lecture Professor Boogert and his students will make real time observations with the telescope and discuss the observable night sky in spring. 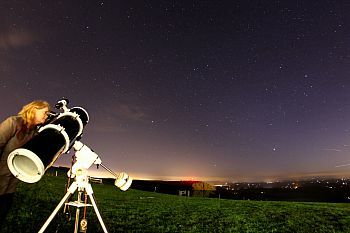 An evening of stargazing, space activities, physics and astronomy talks. Join physicists and astrophysicists from the University of Surrey, amateur astronomers from the Guildford Astronomical Group, and many more at this free event, exploring astronomy through space and time. During the event you will have the opportunity to take a look through a telescope, and find out more about our Universe. Short talks will be given throughout the night on topics within stargazing, astronomy and space. There will be a range of activities to suit all ages, with plenty to do and see whether it’s clear or cloudy! Tickets are already sold out sadly! April is Global Astronomy Month; so join Queen Mary’s School of Physics and Astronomy for an evening of astronomical entertainment! All welcome and family-friendly! Come and enjoy public talks about some of the research being carried out by astronomers in Queen Mary, exhibits outlining aspects of how we study the Universe, comet making demonstrations and (weather permitting) stargazing on the lawn. 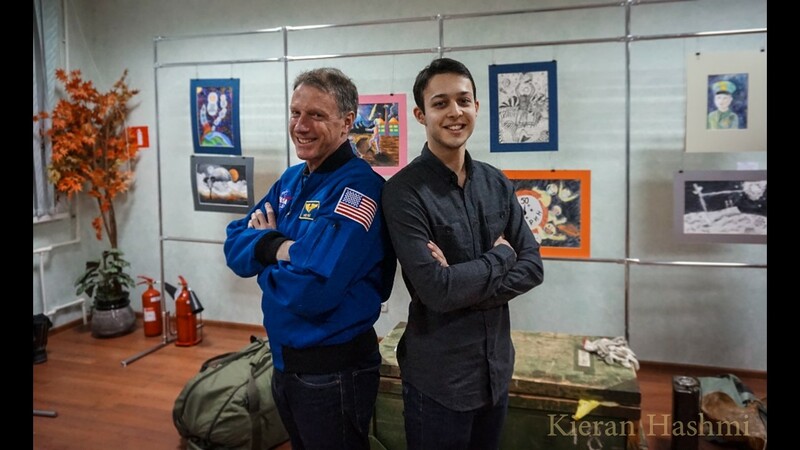 A few weeks ago I got the chance to fulfil a childhood dream of mine, to train as an astronaut alongside the NASA and Roscosmos men and women in the famous Star City training complex. It was a once in a lifetime experience very few have had the privilege to do. I started my journey retracing the path of old Russian cosmonauts beginning their journey in Moscow, beginning with a visit to the Kremlin and Red Square, the scene of Yuri Gagarin’s celebratory parade from his great return from space in 1961. 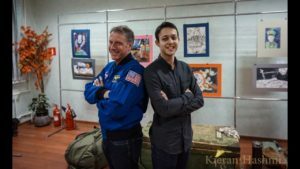 I lived in the site’s dorms with our very own British born NASA astronaut, Mike Foale. If you can imagine having a university floor mate who had been to the ISS and who you’d have informal chats with as you brushed your teeth, you’d get a pretty good picture of what staying in Star City is like. During my stay I was involved in a range of activities from Extra-Vehicular Activity (EVA) suit training by Yuri Gagarin’s actual flight instructor, to wilderness survival training and MIR station training. It was unequivocally one of the best weeks I’ve ever experienced. Hopefully one day I can return, not as an enthusiastic student, but as someone who works directly in sending us humans to the edges of space and beyond. 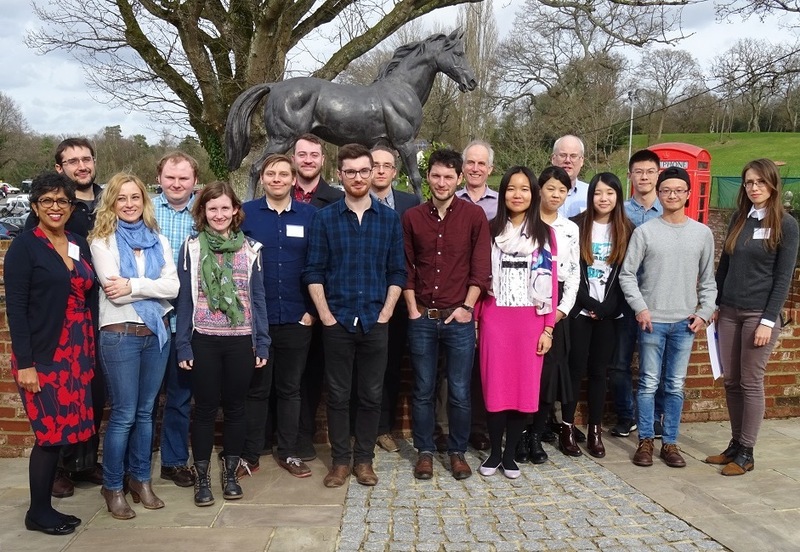 16 SEPnet PGRs attended the Experimental Methods for Condensed Matter School on the 5-7 March 2017 at Old Thorns in Liphook, Hampshire. The 3-day residential workshop covered the background science, the methodology, the capability and some dos and don’ts of a range of common spectroscopy, microscopy and characterisation techniques. One postdoctoral researcher from the University of Hertfordshire, said it was an “excellent location” and the programme had “good structure”. Thank you to all our speakers: Prof Jon Goff, RHUL; Prof John Watts, Dr Mark Whiting, Dr Izabela Jurewicz, and Prof Peter McDonald, University of Surrey; Prof David Dunstan and Dr Andrei Sapelkin, QMUL, Dr Mischa Zelzer, University of Nottingham, Dr David Voneshen, ISIS STFC and Dr Jon Mitchell, Schlumberger Gould Research. 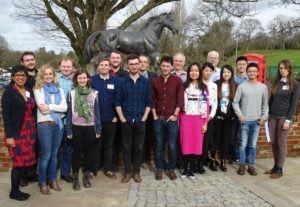 Congratulations to Lei Tan at QMUL who won a prize for the best “Beam Time Proposal” and Daniel Parrish at the University of Surrey who won the best “3-minute Thesis Presentation”. Sean Ogilvie at the University of Sussex and Jelena Gorbaciova at QMUL were jointly commended for their 3-minute presentations. Organisers, speakers and SEPnet PGRs at Old Thorns. SEPnet Outreach highlights the importance of Shattering Stereotypes on International Women’s Day. 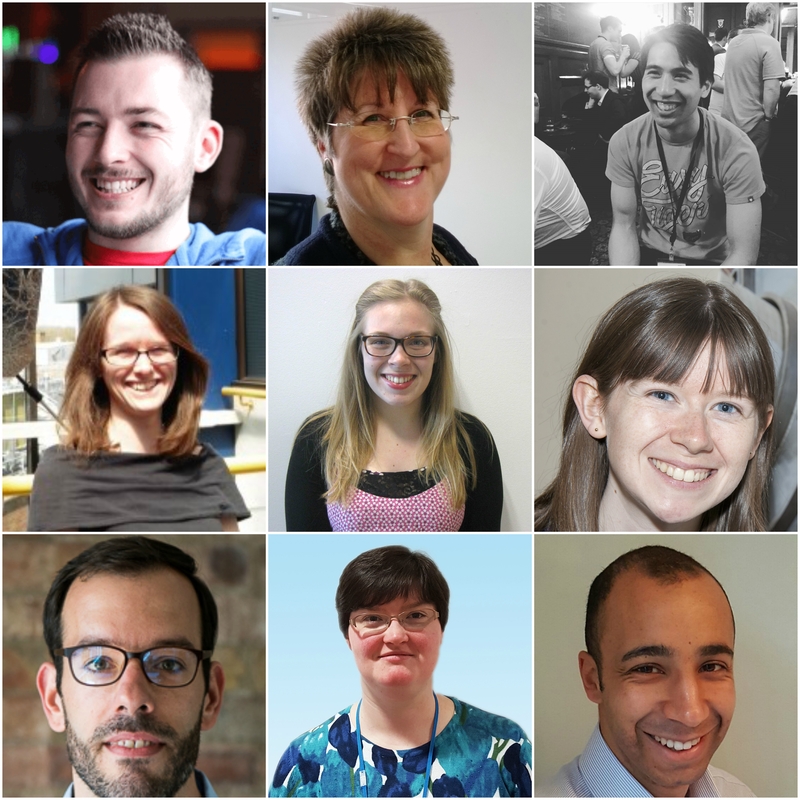 This International Women’s Day, SEPnet Outreach is launching their Shattering Stereotypes Careers Evenings and Physics Graduate Case Studies resources. Across our Shattering Stereotypes Schools we will be holding networking sessions between Year 8 students, their parents and a variety of physics graduates of all genders who have gone to have amazing careers in business, industry and other sectors showing the breadth of opportunities available to them. Students will be encouraged to look beyond gender and pick graduates they would like to network with based on their and the graduates Type of Scientist (previously developed for SEPnet / WISE’s People Like Me resource). The evenings will also have a short talk highlighting the issues of Gender Stereotyping and Unconscious Bias. Gender Stereotyping in an issue which affects people of all genders at school. It has an influence on subject choices at GCSEs, which leads to fewer girls taking A-Level physics and therefore also at university. Additionally it affects boys taking up other subjects seen as more traditional girl subjects such as English and psychology. (See Closing Doors / Opening Doors reports by IOP). If you studied physics at university and would like to take part in the project, please sign up here. If you can’t make one of our events, we are looking to expand the set of Case Studies and especially include graduates who identify as female and are also from an ethnic minority, so that we can explore issues around intersectionality in future workshops. An evaluation report will be made available towards the end of 2017. If you would like more information on the project, please do get in touch.